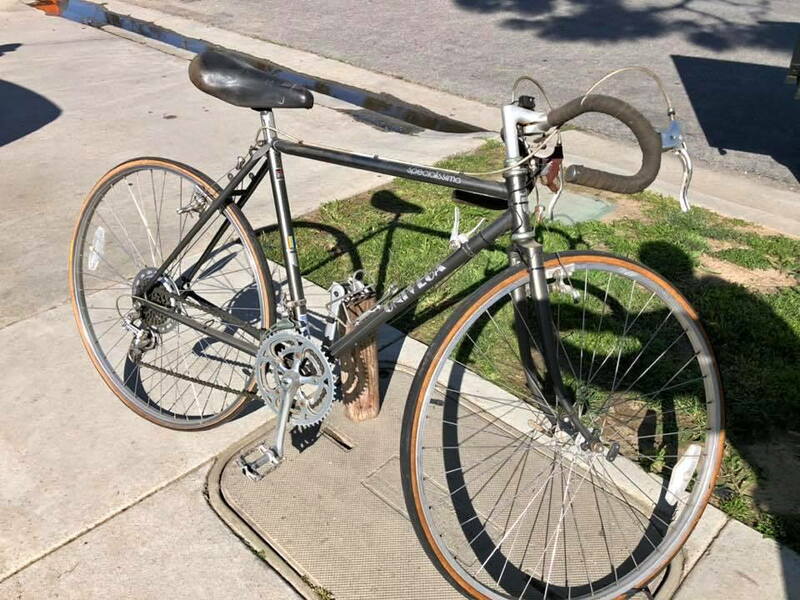 I rebuilt a 1984 Univega Gran Turismo with 27" wheels. 700C wheels won't work at all, given the position of the canti posts..
That's funny, I also have a 1984 Gran Turismo, and it's happily running 700c with the original cantis. Great bike. Clearance for 38mm in front, 32mm rear, with fenders. It shouldn't matter that there are only a few options, if most of them are good ones. The tubing decal leads me to believe that it's one on the Miyata-made Univegas, so I would say yes. To answer the premise of the thread- as most have said- No. 27" wheels are not a deal breaker, nor are most bikes that designed around 27" wheel sizes. 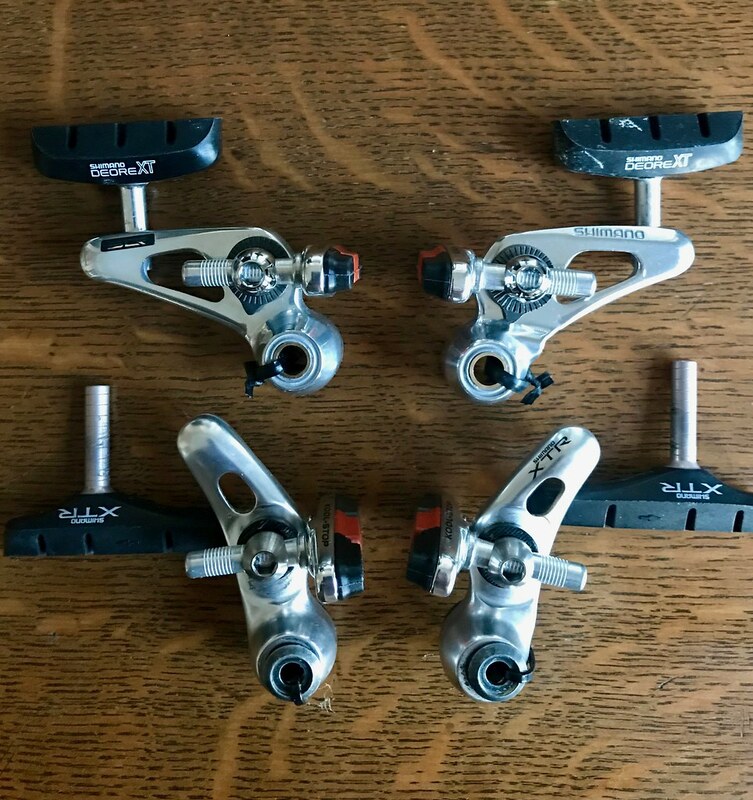 The great majority of an incompatibility with 700C wheels comes from the brakes, and whether they have the adjustability for overcoming both the difference in the size of the wheel combined with the mounting points for them on the frame. 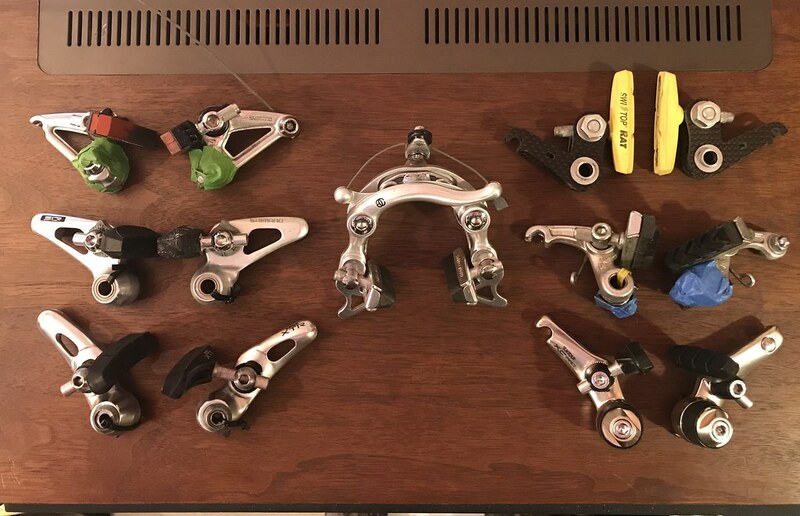 There are not just "a very few instances" of cantis working with 700C wheels- there are some brakes that are more adjustable than others- and it's mostly the "vintage" brakes that have more adjustment. I have one bike that has 50mm between the bosses on the front. I actually do have to deflate a 1 1/4" Pasela TG to remove the wheel to get it between the body of the brakes. As far as tires... Here's a GREAT thread about the availability of 27" tires: The ultimate 27" tire reference thread! As far as brakes- The Deore XT medium profile cantilevers of the 80s have great adjustment and just happen to be some of the sharpest looking brakes ever. A wider rim solves two problems, firstly the issue of removing the wheel with a fat tire. A wider rim also improves the pad-dive angle at the rim, meaning that the 700c rim doesn't cause so much of an issue with the pad trajectory towards the rim versus a narrower rim. So the pad setup is easier, and with less upward motion toward the tire sidewalls as the canti or V-brake is released. So far no problems with finding tires or fitting fenders. And several of them have had 700c wheels, the Miyata 610, 210, and Cannondales specifically. But I like the 27" size on my bikes, and have switched back. I think that size works better with 60/61cm bikes. But don't let the OEM wheelsize be a deterrent, too many awesome bikes out there that predate the popularity of 700c wheels. I'm also running 700c wheels on my Gran Turismo with Shimano Altus brakes. It was a rescue frame, no parts included. I did have trouble with other cantilever brakes I had around, new and old, which resulted in not so great performance (made for some rather exciting fire road descents) until I tried a pair of Deore cantis. The Altus brakes have been great though, easy to adjust as well. Last edited by hairnet; 03-17-19 at 01:05 AM. Wrong premise imho. I’ve put 700c wheels on several vintage touring bikes without a problem. Yes there are some vintage tourers where that swap doesn’t work like the Raleigh Aleyeska (sp). I agree. Last year I fully restored my 84 Centurion Pro Tour 15 to original condition. I still run it as a loaded touring bike (10 days in VT/NY last year) and on the occasional brevet. I have fitted it with 700s without a problem. It has the original Dia Comp 960 cantis and had no problem accommodating the 700s although I still run it with 27s. If you are going to want to bump up from a 5/6 speed rear you will most likely have to cold set the rear triangle but on a quality old steal frame that isn't going to be a problem with a little work. I will give a shout out to Shimano Altus cantis on this front. Currently in production and will cost you all of $10 a wheel. The greatest adjustability in pad clearance of any canti I've used. They look to be based on the higher end vintage cantis above, but easier to find cheaply. They worked for me for a 27 to 700c conversion where mini-vs failed. 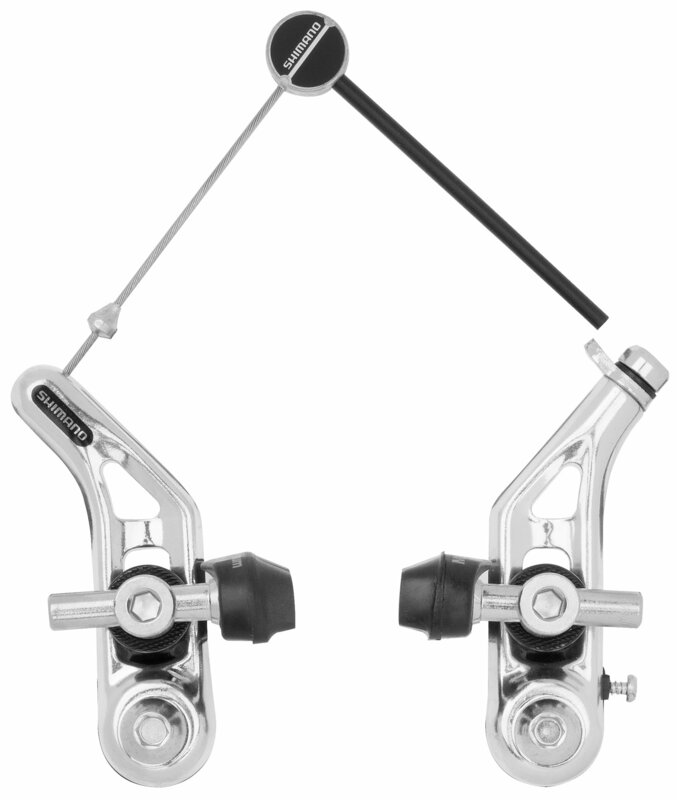 In general, post mount brakes are your friend for this, because the pads can be adjusted wide and low. 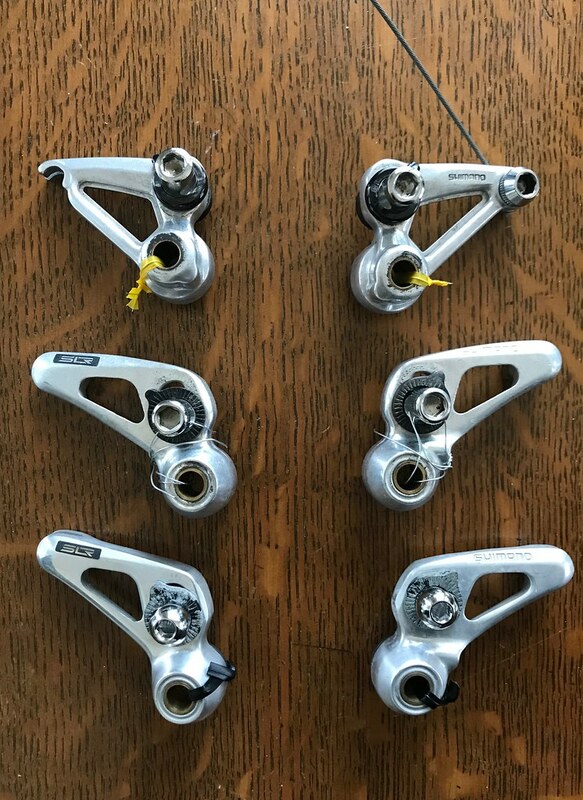 I'm glad to see that so many people get enough adjustment for swapping to 700c wheels. One additional issue. There is another thread about someone who managed to bend his 27" canti fork. And, good replacements are rather rare. It looks like one of the BF members will assist with repairs rather than replacement. Crash, Trashed fork, a way forward? Many of the touring bikes of that era used center pull brakes. I know they were typically found on the cheaper bikes but they work pretty well and we're often very adjustable for wheel size. Weinmann we're usually more adjustable than dia comp. There's absolutely nothing wrong with 27" wheels. Yes, the tire selection is more limited, but there are a number of very good choices, including the Paselas you mentioned. 27" wheels wouldn't deter me one bit from buying a bike. In fact, my Fuji has them and I'm not even tempted to try to fit it with 700c. No reason. Maybe someday, if I break a rim or something.